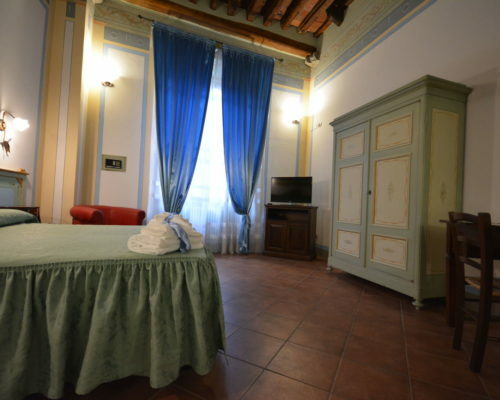 The Madame Butterfly’s apartment are our suite superior: classy but also comfy and after your journey you will think to live in a clean and nice accomodation that it remid in the past. Situated at the first floor with the window in front of Del Gallo Street, the Boheme’s apartment it present sober and elegant. It have a large living room with fireplace, queen bedroom and a kitchen. The Turandot Suite it’s different for the elegant style, but practical. 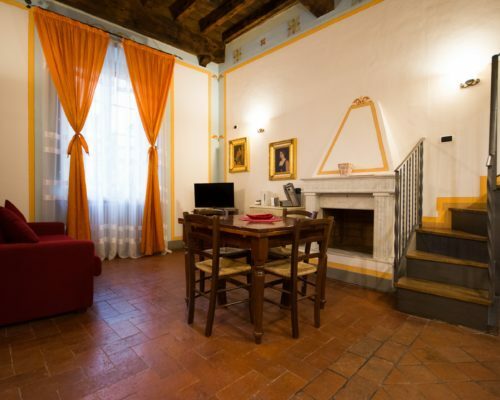 Situated at the first floor of the residence overlooking on Del Battistero Street where you will see in specific day the antique markets. 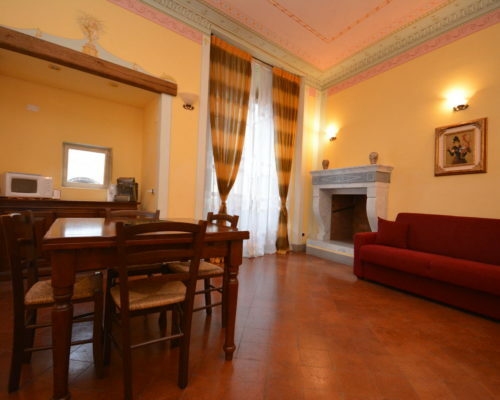 Edgar is a spacious double room situated in the middle floor of the palace. 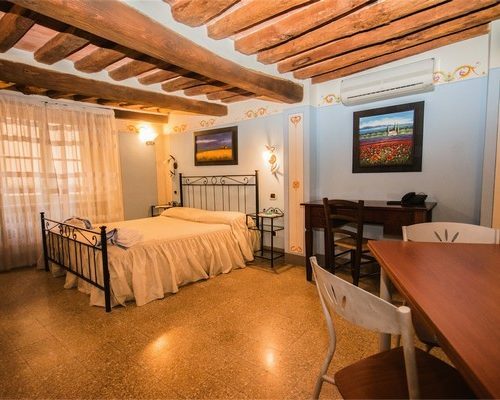 It’s for 2 people but there’s a possibility of an add of one bed or cradle.